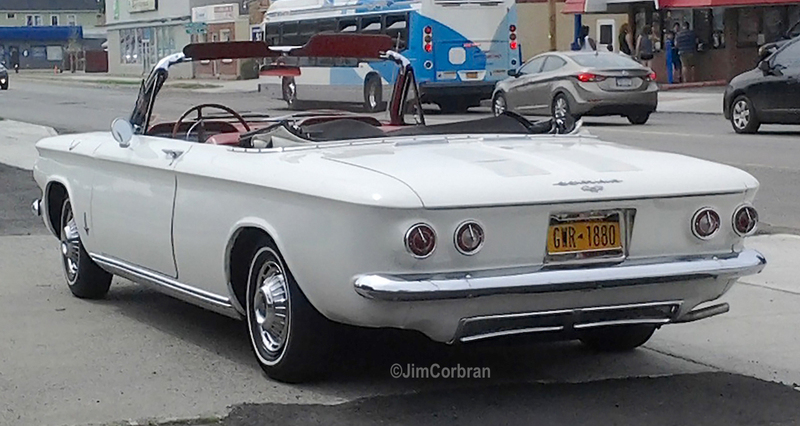 This 1963 Corvair Monza marked the penultimate year for the first-generation rear-engined Chevrolet compact. The convertible was one of three body styles still offered for 1963, the other two being the four-door sedan and the club coupe. There was also the Corvair Greenbrier Sports Wagon, which was really a van and probably in the Corvair lineup only due to its rear-mounted engine. This white convertible was seen last summer in Kenmore.